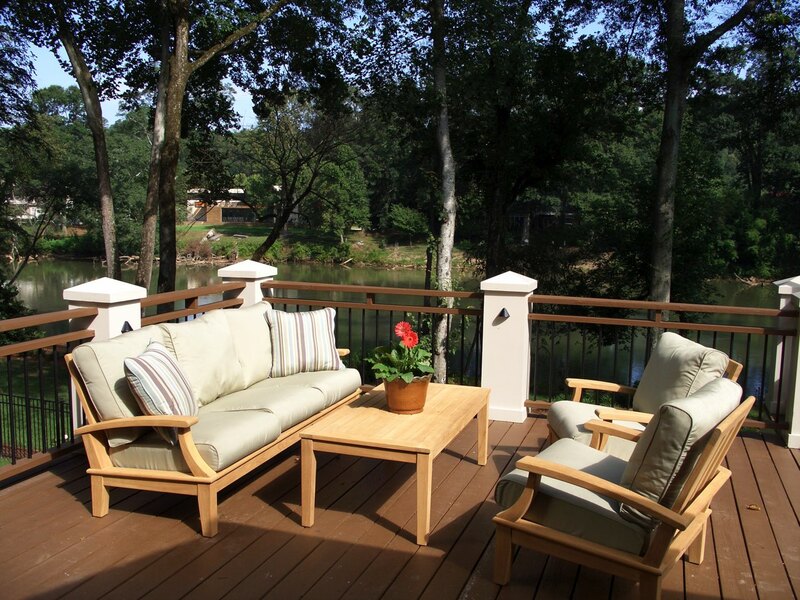 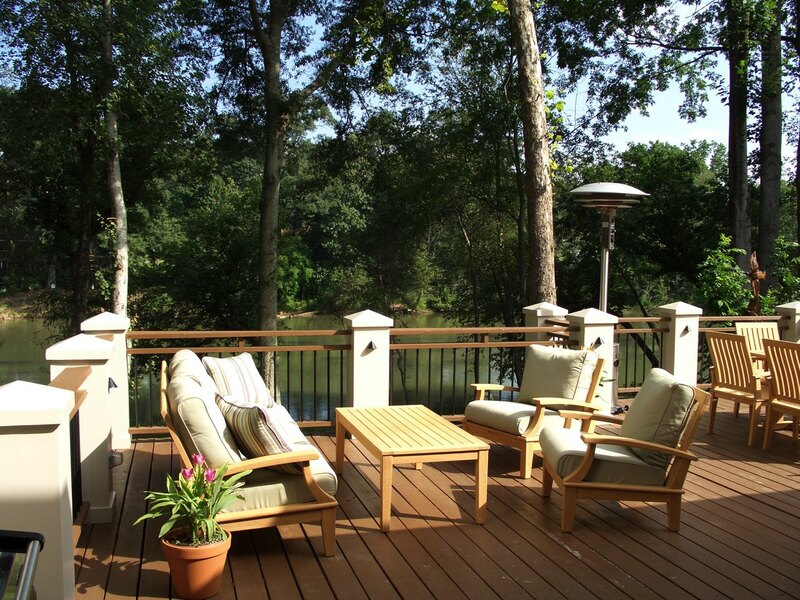 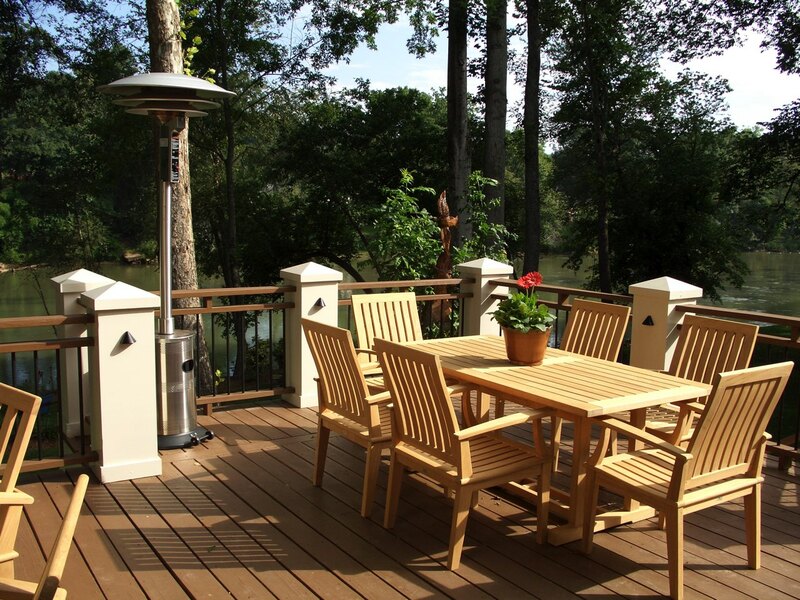 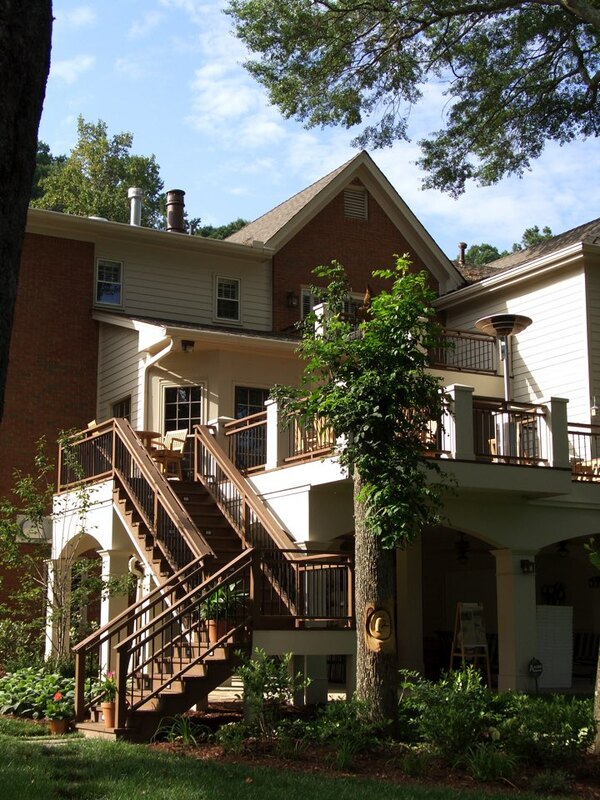 The owners of this Sandy Springs riverfront property had recently purchased the home and quickly realized that the deck was too small, clunky and generally detracted from the aesthetics of the property, so a renovation was needed. 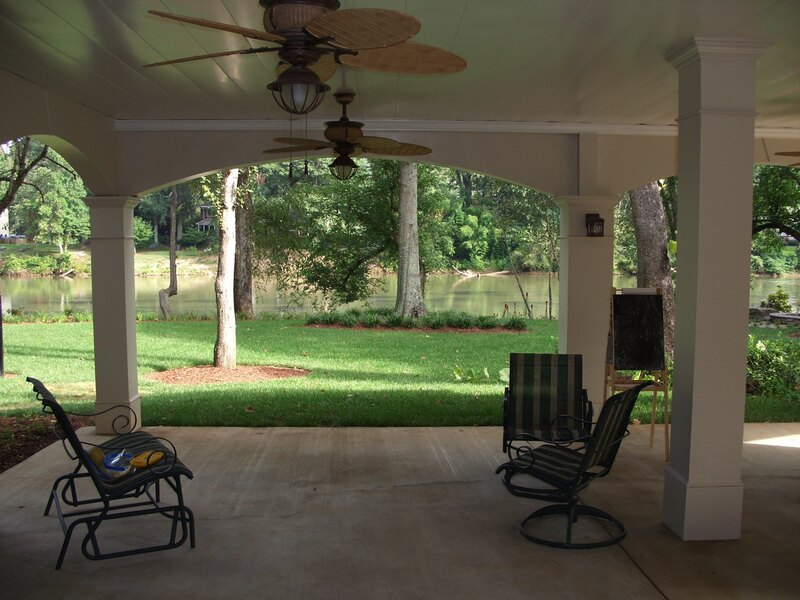 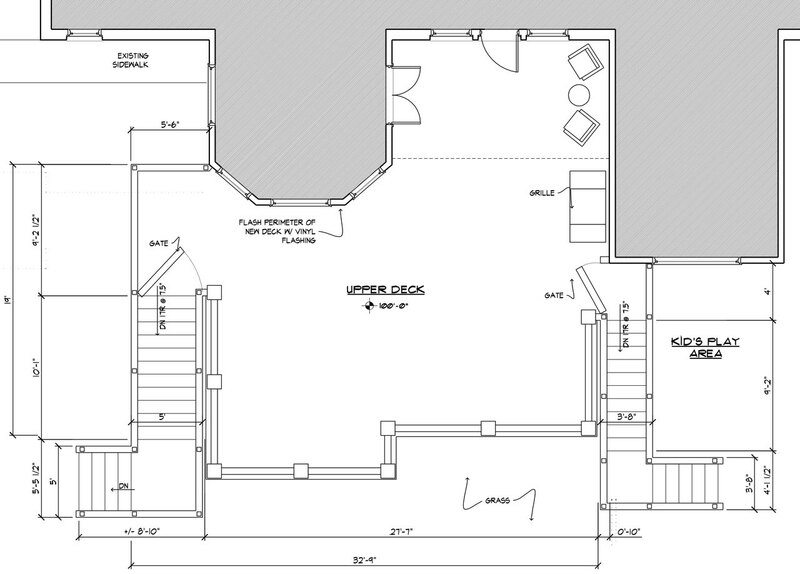 An elegant new design that feels more substantial and complements the Atlanta area home’s architectural style. 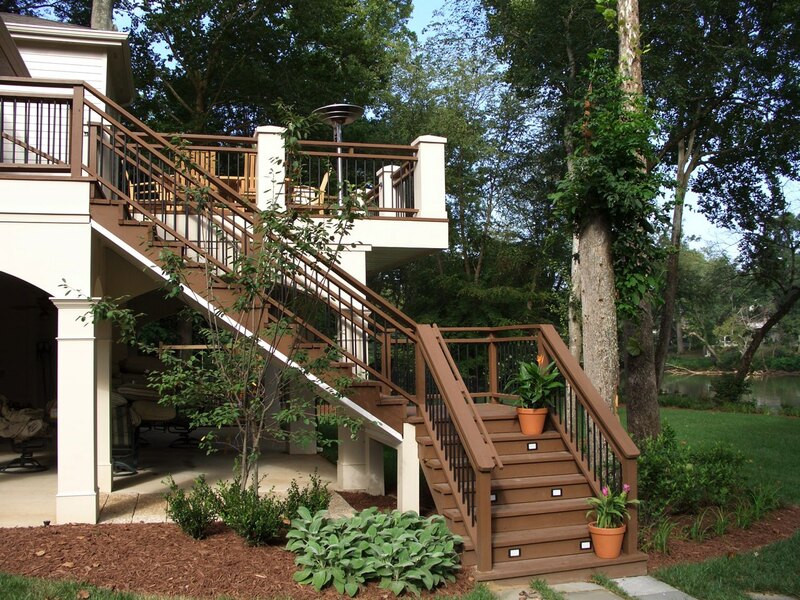 Notice the transparent railing system that allows better sight lines to the river below. 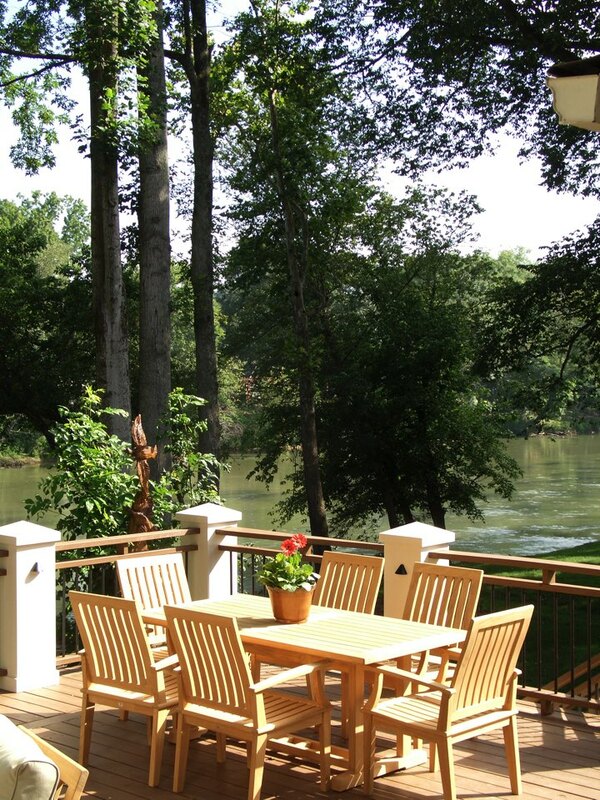 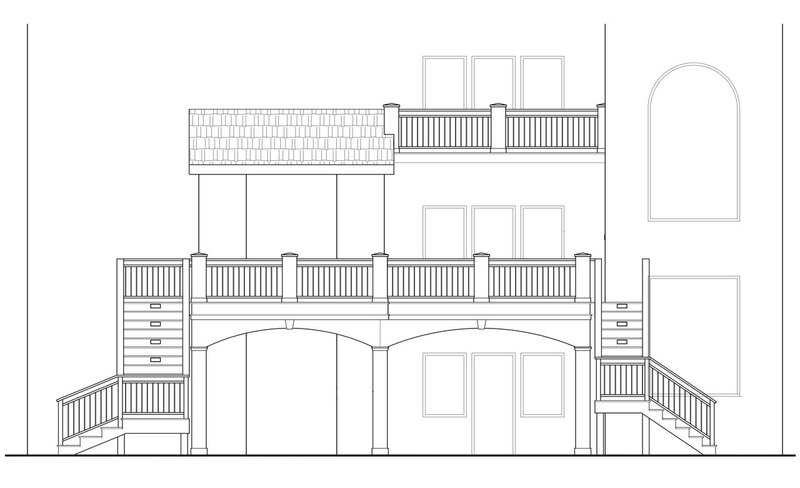 We opened up another vantage point by relocating the stairs, turning the area below the deck into a finished patio with framed views of the river.